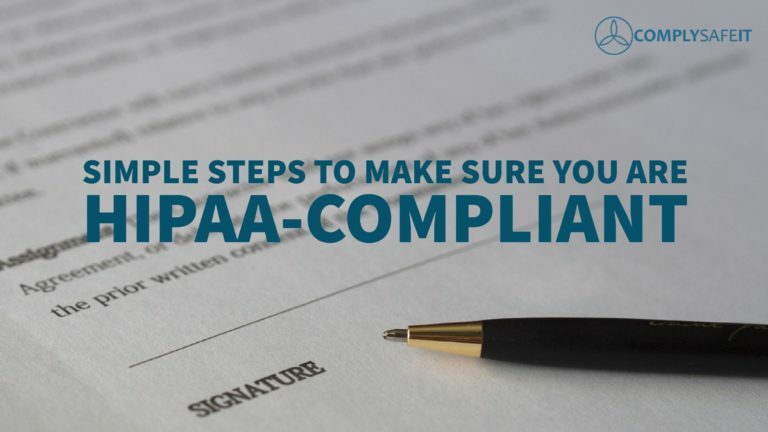 The first and most crucial step you can take to ensuring that your records and data stay HIPAA compliant is to train your staff and create workflow processes in the rules and guidelines of HIPAA compliance. We all have our own favorite email clients to use for communications in our business but most of the popular email providers do not adhere to HIPAA compliance. Some of these providers include Gmail and Yahoo as well as hosting companies that provide email accounts like GoDaddy and HostGator. Encrypting your email and online communications is effective and HIPPA compliant but what if you forget to send your encryption key or send the information to the wrong recipient? There are many tools on the internet that will provide you with seamless encryption which will not affect your normal workflow and will not send your information to a recipient with the wrong access key or token. These services will ensure you stay HIPAA compliant while maintaining the order your workflow process. A whole industry has erected around cybersecurity and encryption for businesses to get an outside party of cybersecurity professionals to test your security and find weaknesses. Regular audits will ensure that your software and communications stay up to date with the latest in cybersecurity threats are prevented from penetrating your systems. The online world has become a hotbed for black hat hackers and information pirates. Investing in cybersecurity audits and HIPAA compliance workflows can save you from expensive extortion and legal fines. Our team of experts can assist in diagnosing and resolving hardware and software issues with today’s industry leading brands and products. Contact us today for a free consultation. Visit us online at www.complysafeit.com or call us at 205-523-5485.